The first nine games tell you very little about the next 153 games, but plenty of interesting stuff happens in any nine game sample. 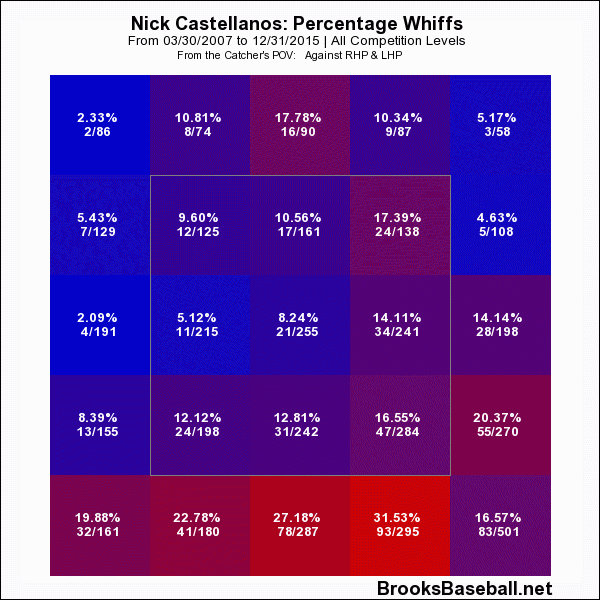 For example, Nick Castellanos has delivered some big hits to the tune of a 153 wRC+ in 34 PA. He hasn’t walked yet, but his .242 ISO and .391 BABIP have been more than enough to help the team over the first two weeks. As I noted, there’s virtually nothing a player could do — other than debut a new pitch or demonstrate something about their health — over the first few days to change my evaluation of their abilities. But you can observe interesting patterns and file them away for the future, so let’s do that briefly. 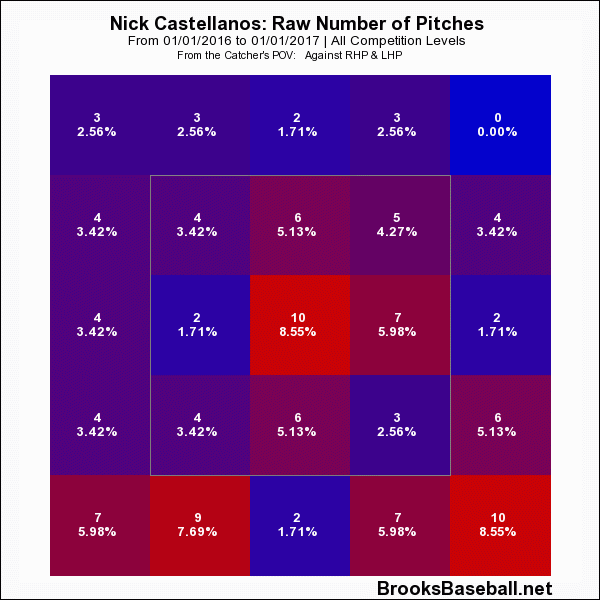 We all know Castellanos’ history. He was a highly touted hitting prospect in the minors who had some issues controlling the zone in the and then really struggled as a hitter (and fielder) for the first year and a half of his MLB career. Things perked up last year starting in late June. So obviously the strong opening month is encouraging, but it doesn’t provide a ton of information. 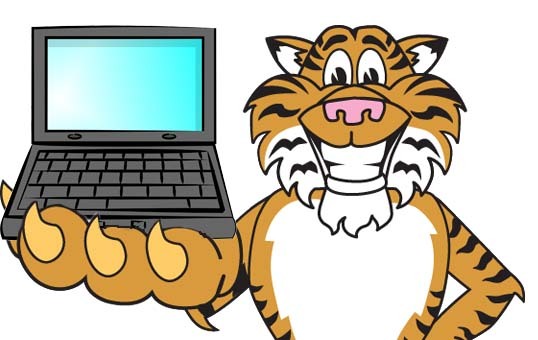 What does provide some information is how pitchers are treating him. 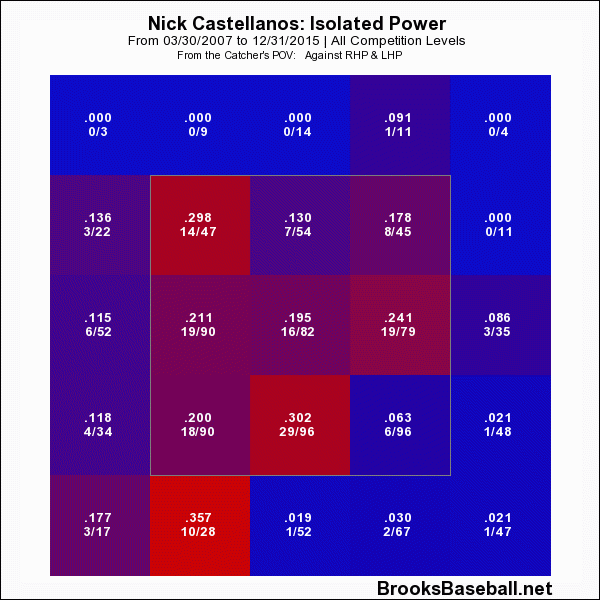 You may have noticed that Castellanos is swinging a lot this year. He’s swinging at 62% of the pitches he’s seen, while his career average has been about 50% and the league average is about 46%. It’s not a big sample, but you can see it in the data and when you watch the games. Theoretically, it seems bad. Swinging a lot when you aren’t a contact hitter who can cover the plate is usually going to create some problems. It couldn’t be more straightforward. Don’t pitch up and in, do pitch low and away. He is vulnerable to pitches below the zone and beyond the outside corner. He mashes when you come up near his belt. Granted, he was learning to lay off the low and away pitch a little last year, but it wasn’t like he had mastered it or anything. This is Nick’s career prior to this year. Pitchers heavily favored the low and away approach and it worked very well. 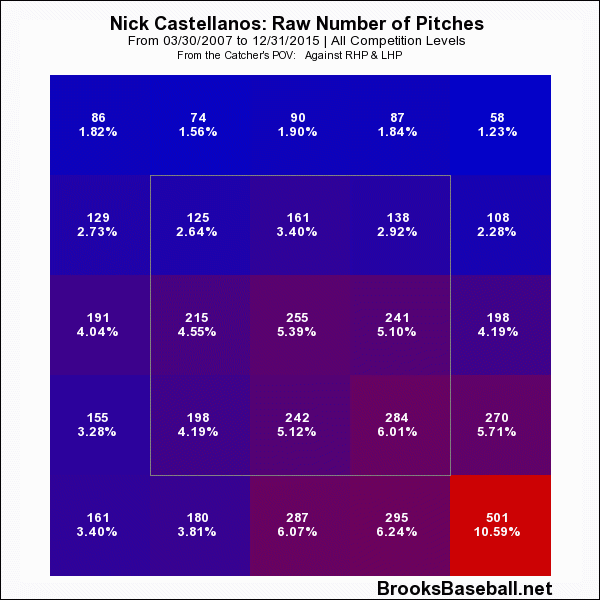 Obviously this is just a hint of a trend, but I think Castellanos may have realized that pitchers move more and more toward the part of the zone he can’t cover as the PA wears on, and he’s decided not to let it get that far. He’s swinging at half of all first pitches this year. That’s probably not a good strategy in equilibrium, but for the moment he appears to have surprised them a bit and is taking advantage. Pitchers will adjust, but for now, Nick is using their approach to his advantage. Hopefully by doing so, it will push pitchers to be more careful with him and will increase his ability to draw walks and add value that way. Nothing is certain after nine games, but I’d keep an eye on this. Well done! A related question occurs to me, one that I’m not even sure how somebody might manage an analysis to answer. What percentage of pitches actually go to the quadrant the pitcher is aiming at? Obviously, it would be a lot higher for Greg Maddux than for Joel Zumaya, but I wonder if this aspect of control could somehow be studied.